After several world catastrophes, robots called ‘Tins’ have come to power. Lexi019 has lived inside of a Compound ruled by Tins for the past twelve years, and maintains a strict schedule. 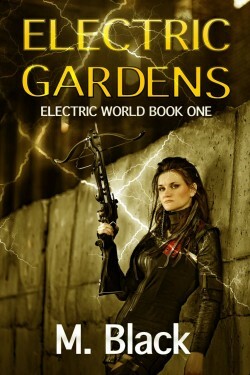 After attending Electric Gardens classes, she learns that she will be transferred, as all eighteen-year-olds are, to serve the Electric Gardens for the rest of her life. But she can’t let go of her past, the family and culture she once had, and deep inside of her she believes her father is still alive and out there somewhere. If she could only break out and find him? Lexi defies the Tins with her best friend Kyle53, his Meshed sister, and an unlikely soul-searching Tin named Digit. But in the end, can she escape… or like all things in this artificial, apocalyptic world, will she be stuck under the Tins’ power forever? Fans of Terminator, Divergent, Blade Runner, Hunger Games will enjoy.